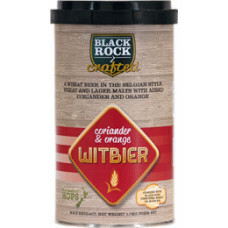 Black Rock Crafted Witbier is a combination of wheat and lager malts with traditional notes of coriander and orange, balanced with a subtle hop bitterness. Brew with 1.7kg Black Rock Wheat unhopped malt extract. 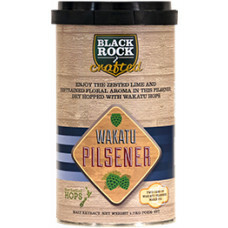 Wakatu Black Rock Crafted Maibock is a traditional Bavarian style Maibock, with an extra subtle citrus hop aroma. Munich and pilsner malts combine for a rich toasty European pale malt character, with NZ Green Bullet and Pacific Gem hops are added at the boil to provide a moderate bitterness. An dry hop addition of New Zealand Wakatu hops, (formerly NZ Hallertau) infuses a subtle lime citrus hop aroma. 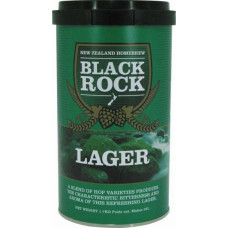 Black Rock Dry Lager is a light coloured, refreshing (dry) lager with a crisp clean finish. 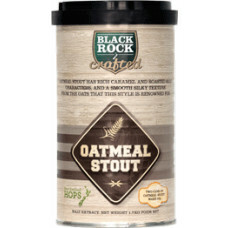 Brew with 1kg Black Rock Liquid Brewing Sugar (or 1kg other sugar) for a crisp lager finish. 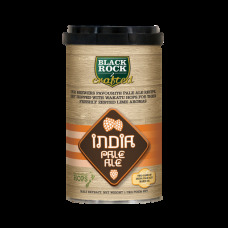 For more body, colour and malt flavour use 1.7kg Black Rock Ultralight unhopped malt extract instead of sugar.